Our brands BOLZ-SUMMIX, COMBER, HEINKEL and JONGIA have an excellent reputation throughout the different process industries around the world. We provide a global sales and after-sales network giving our customers the benefit of direct sales, dedicated sales organizations and well-established sales partners in many different countries. The Group combines the financial strength of an international organization with the flexibility and rapid response of a medium sized enterprise. COMBER is a leading Italian supplier of (nutsche) filters, filter dryers, vacuum paddle dryers and vacuum pan dryers in the pharmaceutical and fine chemical industries. BOLZ-SUMMIX, situated in South Germany, is specialized in mixing and drying equipment and is one of the few specialized manufacturers of the conical screw vacuum dryer. 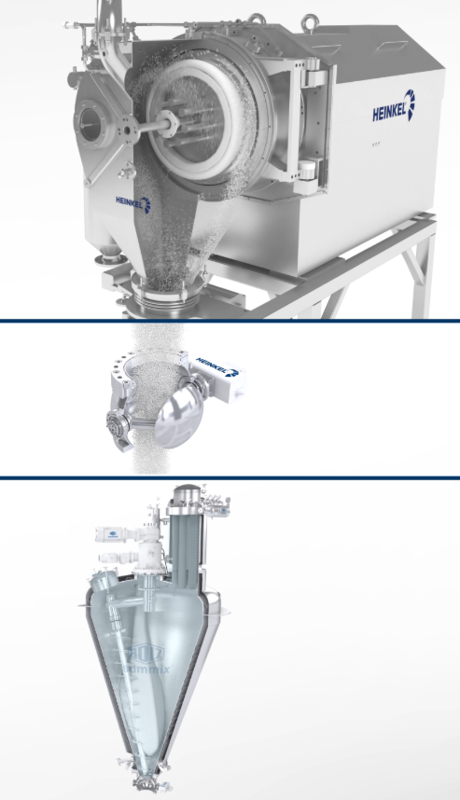 HEINKEL is specialized in providing systems for solid-liquid separation. Their product portfolio consists of a wide range of vertical, horizontal and classifying and filter centrifuges. JONGIA manufactures and designs mixers and agitators for the (fine) chemicals, food & beverages, petrochemicals, sustainable energy and pharmaceutical industry. Our customers can benefit from our process knowledge and staff expertise that has been built up over many years. Local presence of experienced sales and process engineers means understanding of local culture, regulations and most fitting process solutions. By combining this local presence with a global and long established know-how of many different processes and with a wide portfolio of own products, we can find in collaboration with the customer the most suitable solution to any production need. With our specialized simulation software tools and test units, the customer gets the guarantee of the reliability of the developed solution. We are one of the few suppliers offering complete systems comprising of a centrifuge, dryer and specific process equipment with common control systems which can be integrated seamlessly by us.